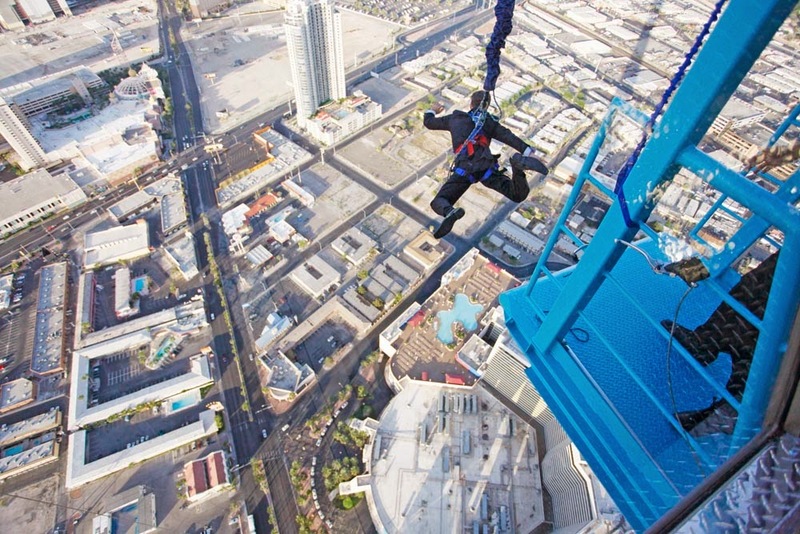 Located atop of the Stratosphere Casino, Hotel & Tower in Las Vegas, the SkyJump Experience is a controlled free fall attraction, 855 feet above the Las Vegas Strip. Jumpers literally leap off the platform on the 108th floor to descend 855 feet to the landing pad below. Jumpers must be wearing a jumper suit which looks like a pilot plane clothing and they're holding up to a sort of bumper jumper. Today I witnessed Jim, Captain Morgan, from Pennsylvania, jumping. Jim is visiting Las Vegas for a week. He said he was just a "little nervous" jumping the 855 feet. He will also ride the VooDoo ZipLine. He is really Brave. Click here for the video. Call 800.99.TOWER (800.998.6937) for more information or to make your reservation. 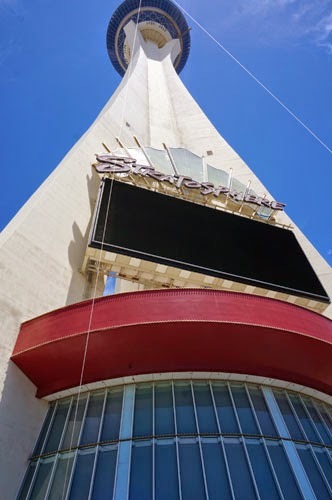 As part of its grand opening event, former Las Vegas Mayor Oscar Goodman was at the Stratosphere Casino, Hotel and Tower, to officially unveil SkyJump Experience with a written proclamation deeming April 20 as SkyJump Day in Las Vegas. 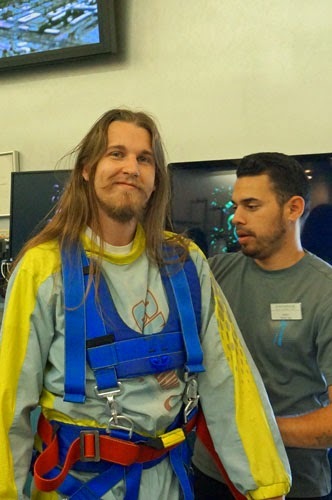 Guinness World Records was also present and declared SkyJump Experience as the highest commercial decelerator descent, breaking the previous record set by SkyJump at Macau Tower Convention and Entertainment Center with a height of 764.4 feet.